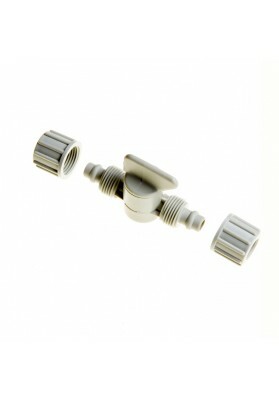 The pressure reducer is permanently set at 1 bar (for the pressure of normal water pipes), include.. 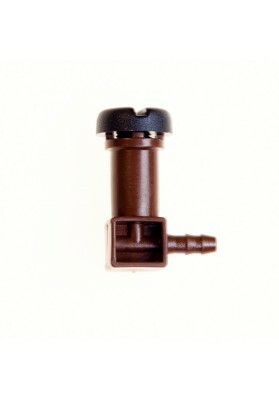 The pressure reducer is permanently set at 1,3 bar. 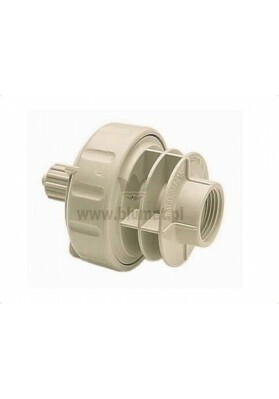 The increased output pressure is for use ca.. 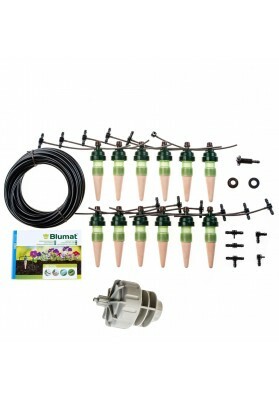 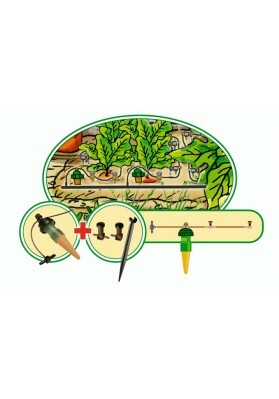 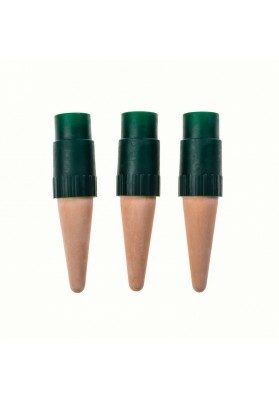 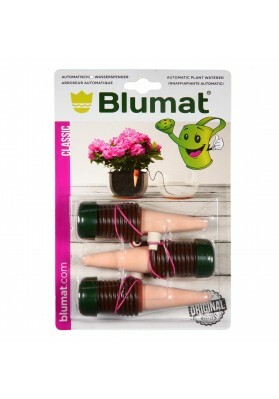 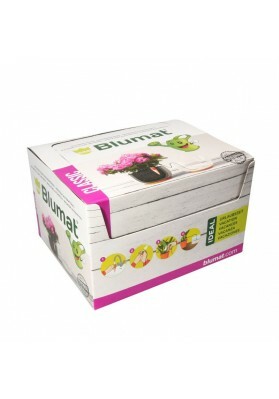 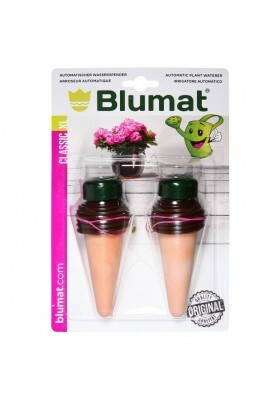 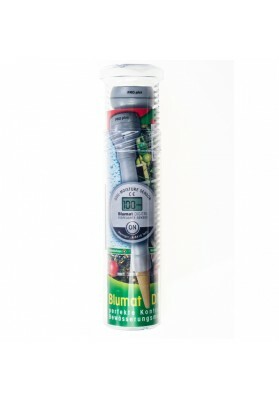 Soil Moisture Ceramic Sensor BLUMAT DIGITAL works on the following principle:Once inserted de.. 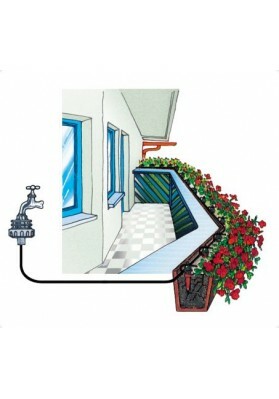 This set is designed for use on balconies with 3 boxes of 1 m apiece, but is also suitable for any..
Adapters for water bottles. 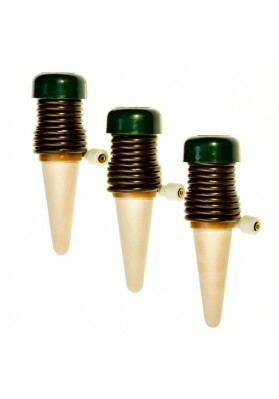 Can be attached to each standard plastic water (or coke-) bottle of si.. 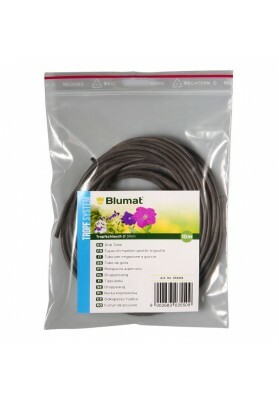 Original Blumat drip tubing. 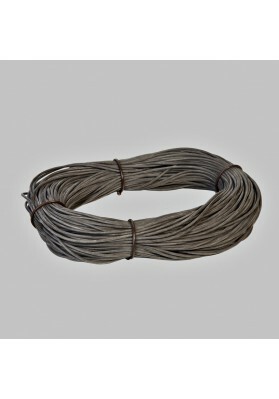 Soft silicon material. 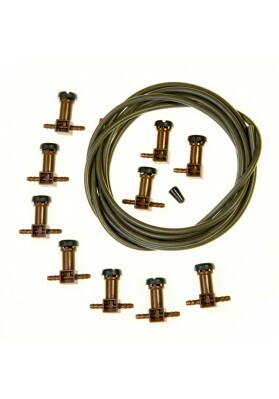 Softness of the tubing allows to be used in th..
Straight mini connectors 3-3mm for connecting two drip tubings. 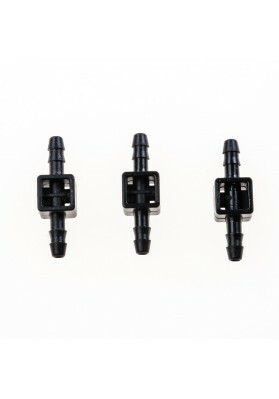 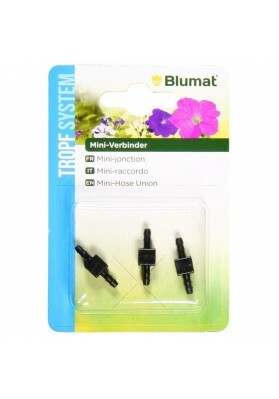 Can be used for expanding the drip..
T-branch-connector for drip tubing 3-3-3 mm, for branching off drip hoses. 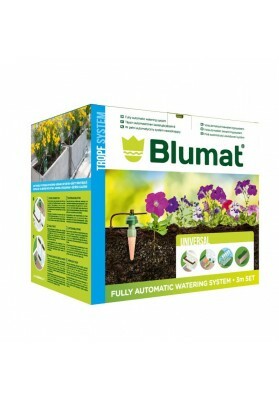 Allows for a shared wat.. 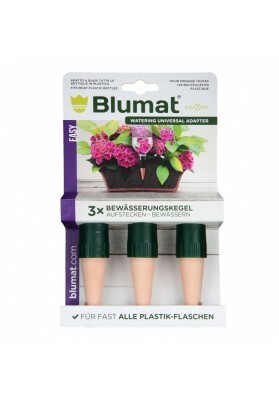 Soil moisturizer for individual houseplants. 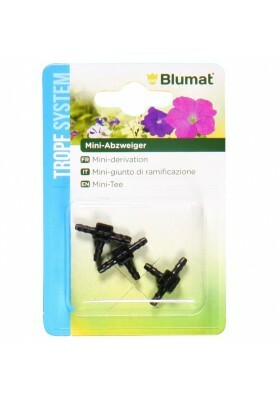 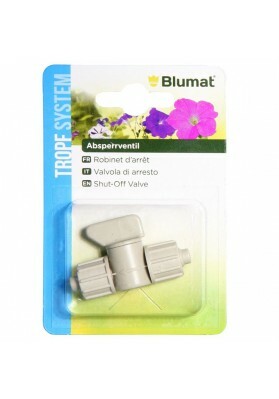 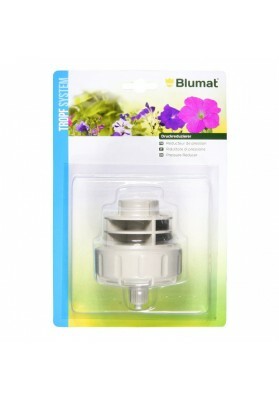 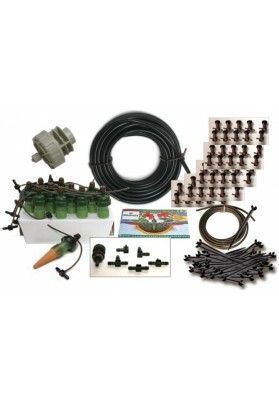 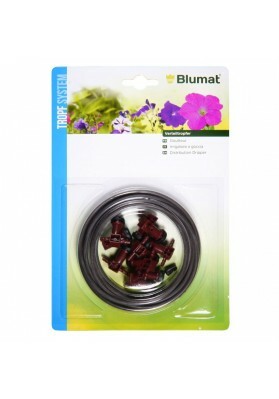 It saves trouble for plants by too much or too less w..
Irrigation set Tropf-Blumat for self-assembly. 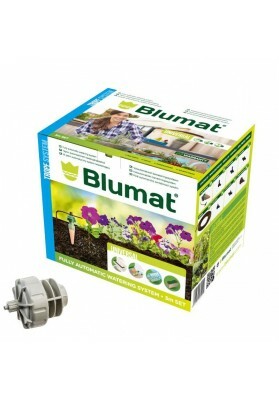 Recommended for use in garden, greenhouse and.. 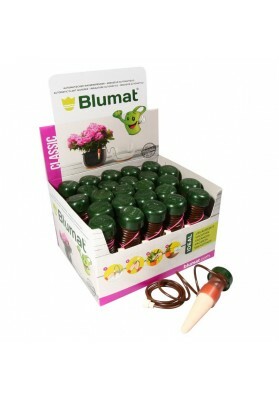 Soil moisturizer for individual houseplants which have higher water consumption - a nearby water c..
10 dripping heads with a nozzle for a 3 mm dropping tube. 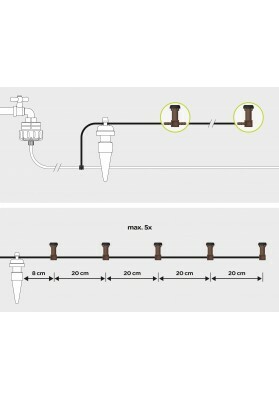 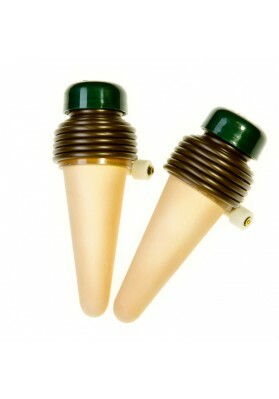 Drippers with double-sided and one-sided&n..
Dripping head with a nozzle for a 3 mm dropping tube. 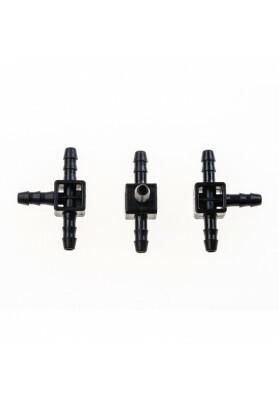 Drippers with one-sided nozzles for closing th..